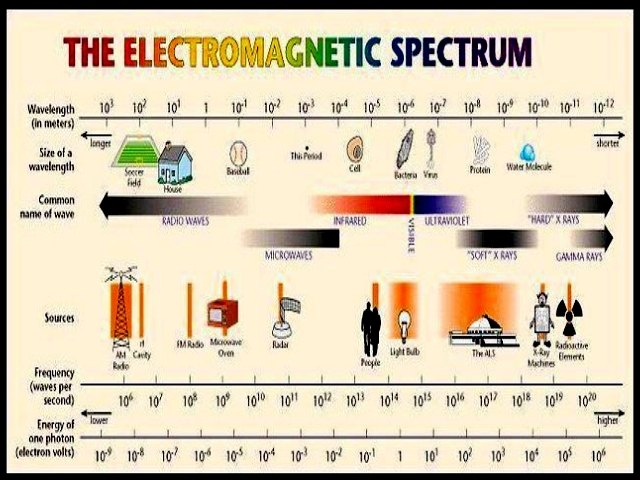 The electromagnetic spectrum is the range of all possible frequencies of electromagnetic radiation. 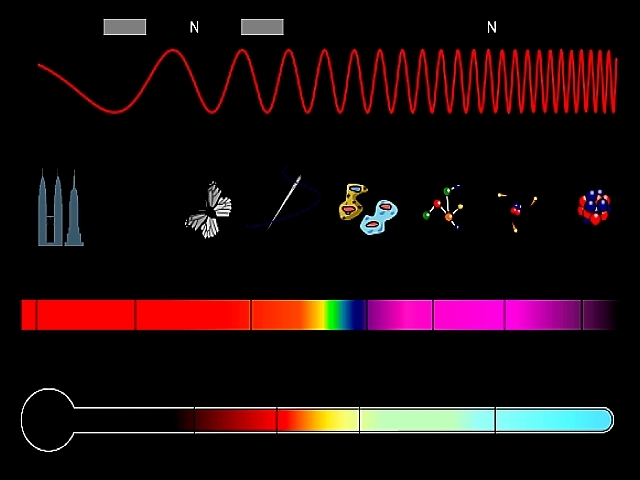 The “electromagnetic spectrum” of an object is the characteristic distribution of electromagnetic radiation emitted or absorbed by that particular object. 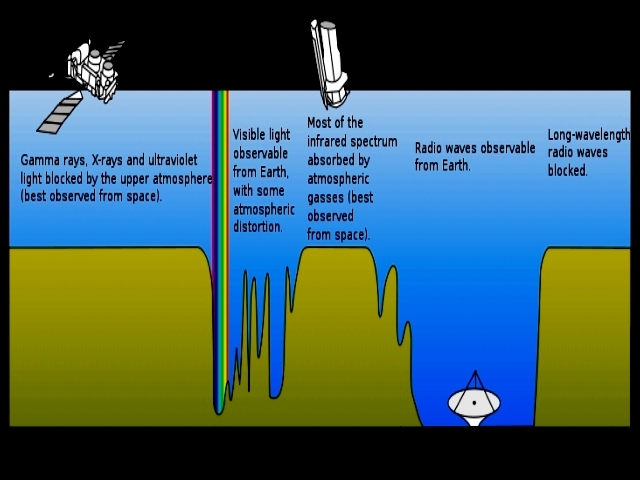 The electromagnetic spectrum extends from low frequencies used for modern radio to gamma radiation at the short-wavelength end, covering wavelengths from thousands of kilometers down to a fraction of the size of an atom. The long wavelength limit is the size of the universe itself, while it is thought that the short wavelength limit is in the vicinity of the Planck length, although in principle the spectrum is infinite and continuous (Wikepedia).